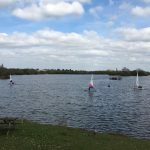 Are you interested in joining Attenborough SC? Fancy a bit of Racing? 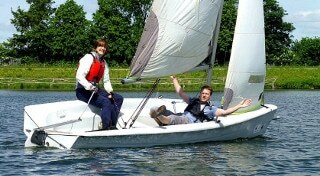 Attenborough Sailing Club is located between Nottingham & Derby. 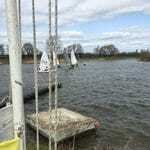 The club enjoys the use of 65 acre Coneries Lagoon adjacent to Attenborough Nature Reserve. We pride ourselves on the friendly atmosphere of our club and new members are always welcome! 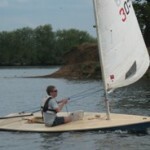 Members enjoy a variety of racing, cruising & social activities. 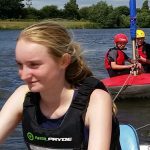 Club racing takes place on Sundays & Wednesday evenings throughout the year and support a number of different dinghy classes, particularly Comet, Supernova, Laser & Phantom. No joining fee and single membership only £114. 2019 course dates for adults and under 18s now published. 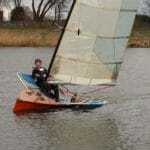 Jill Reid sailing her first race of the season won the Gold Fleet on Sunday from Ray Kemish and Bob Cuerstemont. 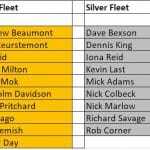 Silver fleet was won by Kevin Last from Rob Corner and Iona Reid. 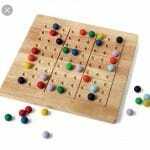 Bronze fleet was won by Paul Kelly from Brian Davies and Don Bishop. 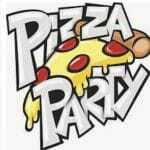 Club members are invited to The Fitting Out ‘Pizza and Quiz’ Supper this Friday, 12th April, 7.30pm after Friday night cruising, in the new clubhouse. Food costs £6 per adult and £3 per child on the night. Find out about our club racing or see the latest race results. 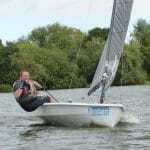 Either for a casual sail, some serious practising or just a drink and BBQ, come along for Cruising.